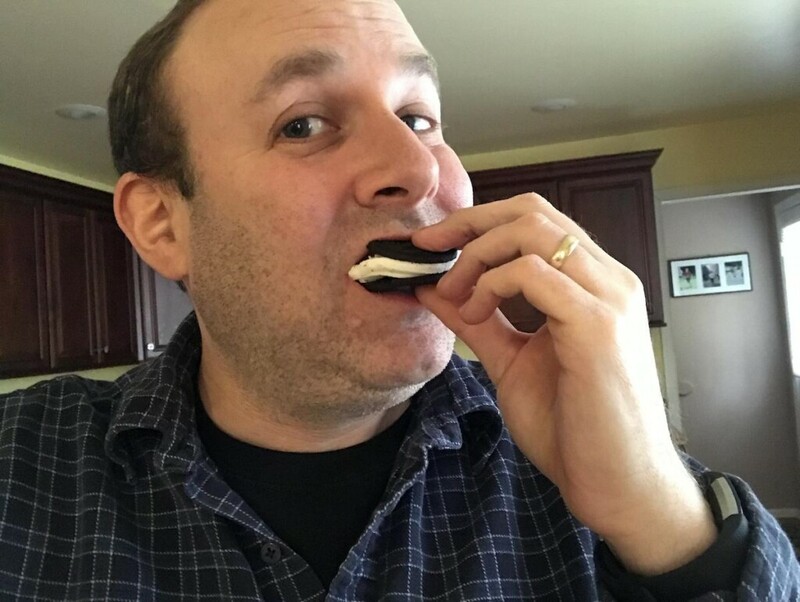 If you’ve been following my blog for awhile, you know that I’m a sucker for OREOs and all of their crazy flavors. Some are solid gold (like the Marshmallow Crispy OREOS! ), while others, not so much (I’m looking at you, Lemon OREO). 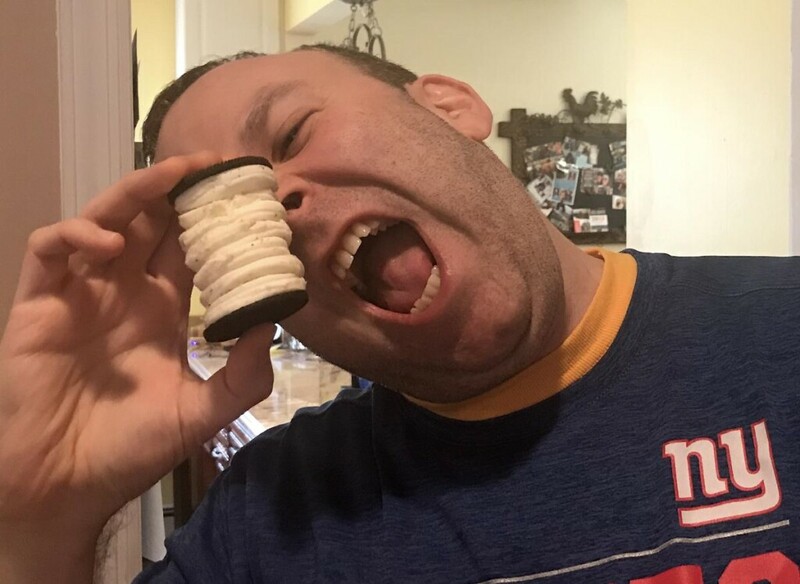 I’m also the type of guy who thinks there’s no such thing as too much creme inside of an OREO. 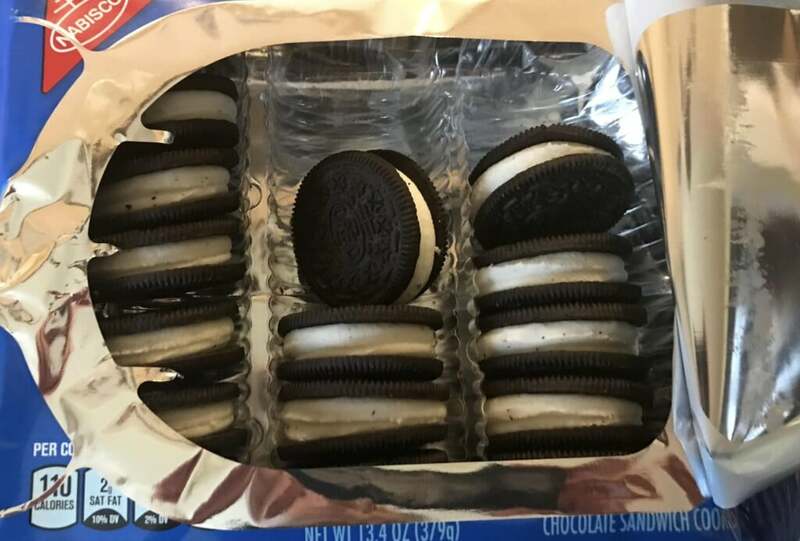 Regular OREO versus a Double Stuf OREO? No contest. I’ll double down every single time. 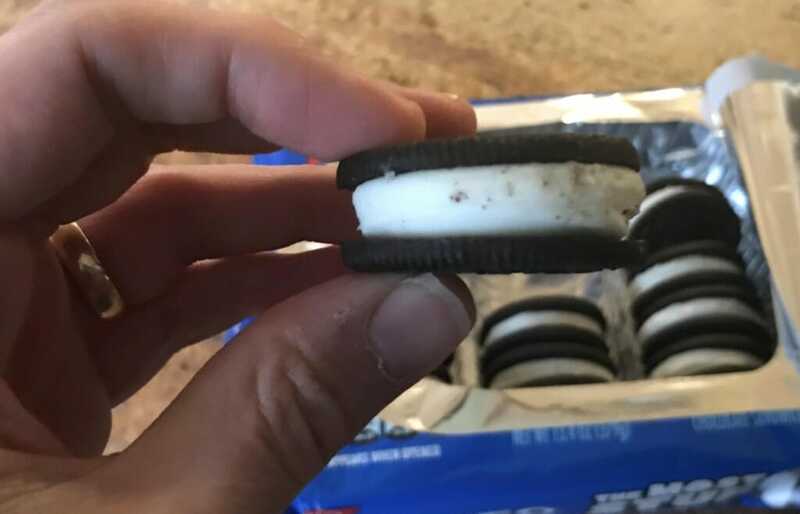 In fact, I’ll use open up two Double Stufs and combine them to one Double Double Stuf. Yeah, if OREO sold just the creme in a jar, I think our pantry would be lined with it. 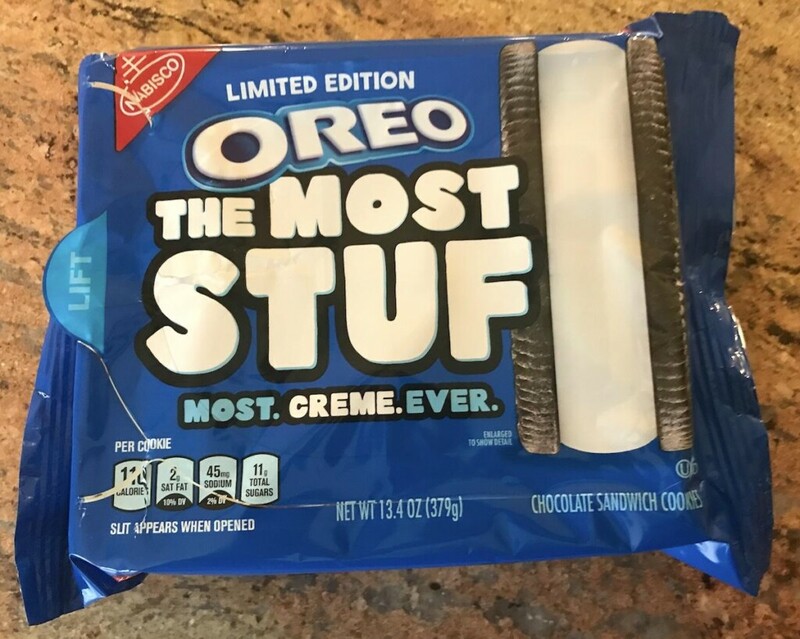 So when Nabisco recently announced the release of OREO The Most Stuf, to say I was intrigued is an understatement. To say I was ridiculously impatient as I waited for my wife to come home from the supermarket with a bag of them is understating the understatement. 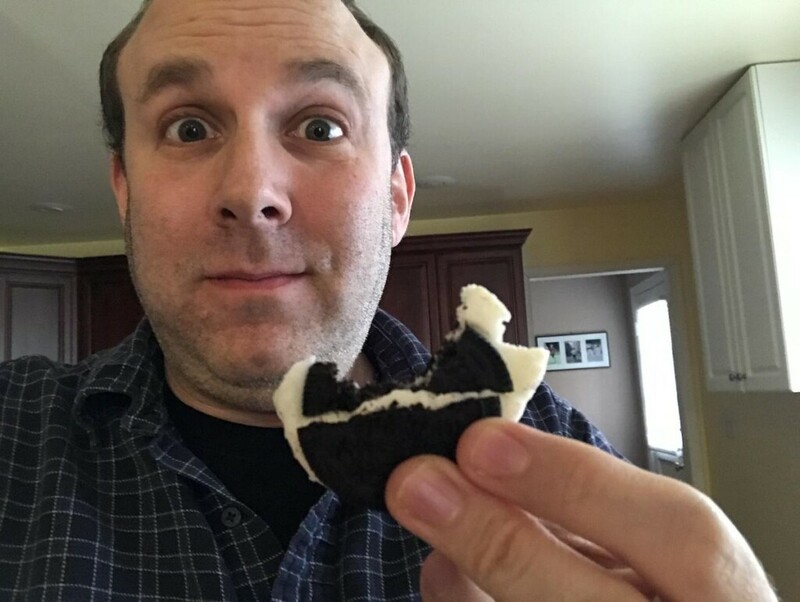 Diet be damned, I was not going to pass up tasting these limited-edition super-stuffed cookies. So thankfully Allie found a bag and yes even bought one for me. Yes, these were certainly bigger than the Double Stuf cookies I was already a big fan of. It does mean less cookies overall, but I can live with that! An extreme close-up gives off a good angle of what these little buggers look like. But looks can be deceiving. And you can’t judge a book by its cover. And sometimes your eyes are bigger than your stomach. And… okay, okay, let’s get to the taste test already! Reluctantly, I somehow mustered up enough courage and energy to try tasting one of these OREO The Most Stuff cookies. See the lengths I go to for my readers! 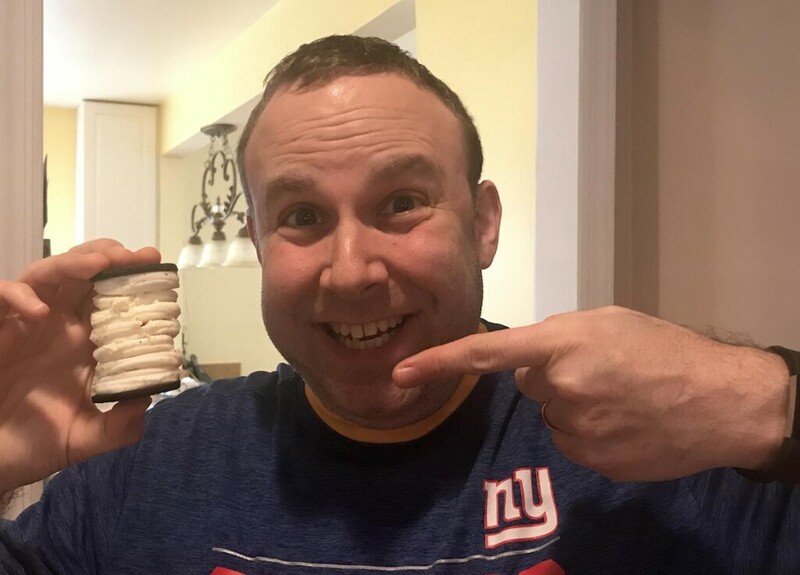 I may have been mistaken, but I could have sworn I heard harps playing in the background as I bit down into this creme-filled monster of a cookie. Yes. Yes indeed. My eyes were filled with stars. My mouth was thanking me profusely. And I honestly think I now know what Heaven tastes like. Yes, that would be an OREO The Most Stuf cookie. 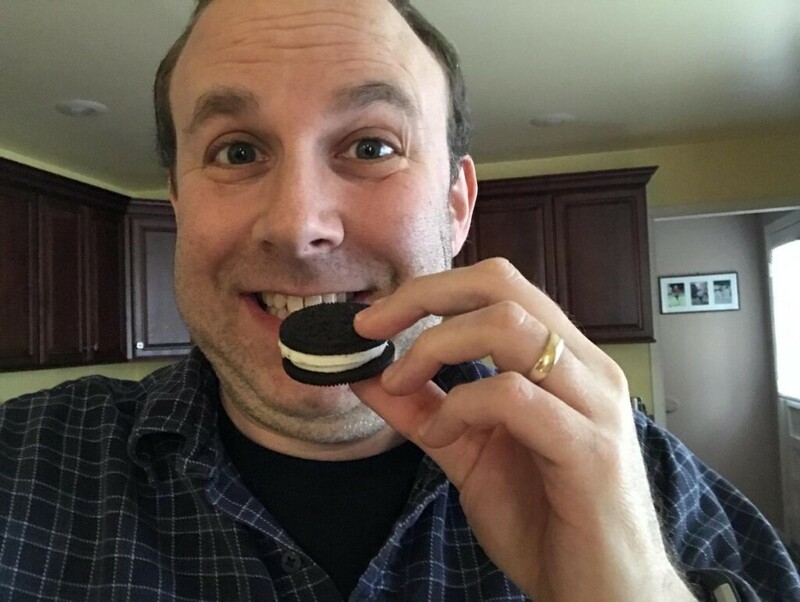 After sampling a few more… hey, I had to be sure that first cookie wasn’t a fluke! 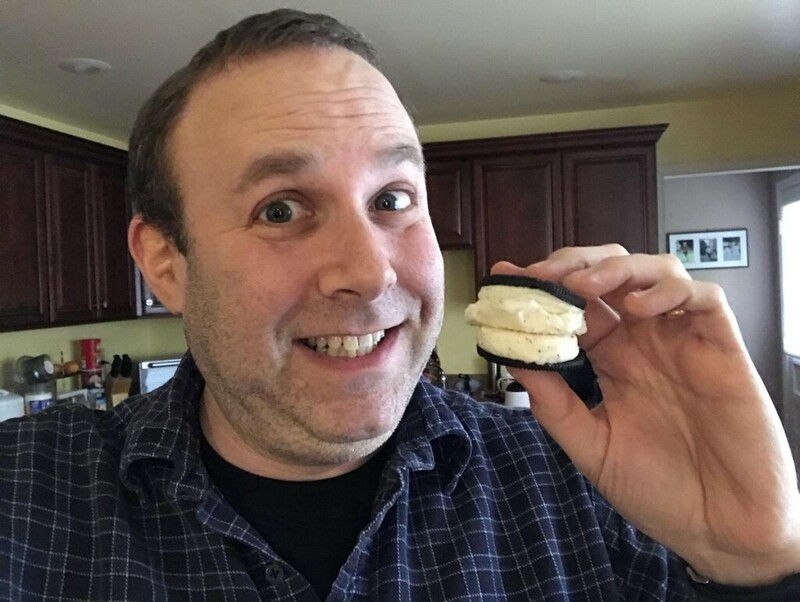 Anyways, after a few more Heavenly bites, I did what I couldn’t wait to do… I made an OREO The MostEST Stuf cookie by combining two of them together. Uh yeah. We are now entering the realm of ludicrousness. And I dare say… it “might” have been a little too much creme. After devouring this Mostest Stuf cookie, I think I actually could see through time. At least for a minute or two. 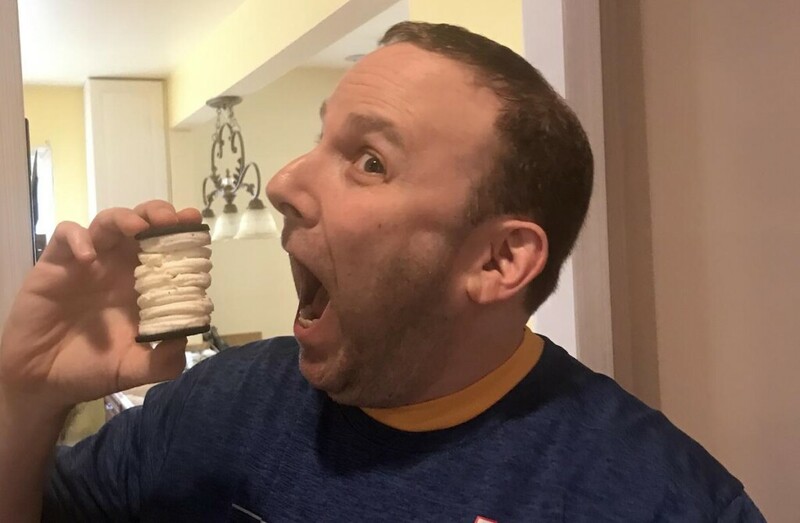 Yet somehow that didn’t stop me from going even one step further and combining the remaining Most Stuf OREOs into one Stufasaurus of a cookie. 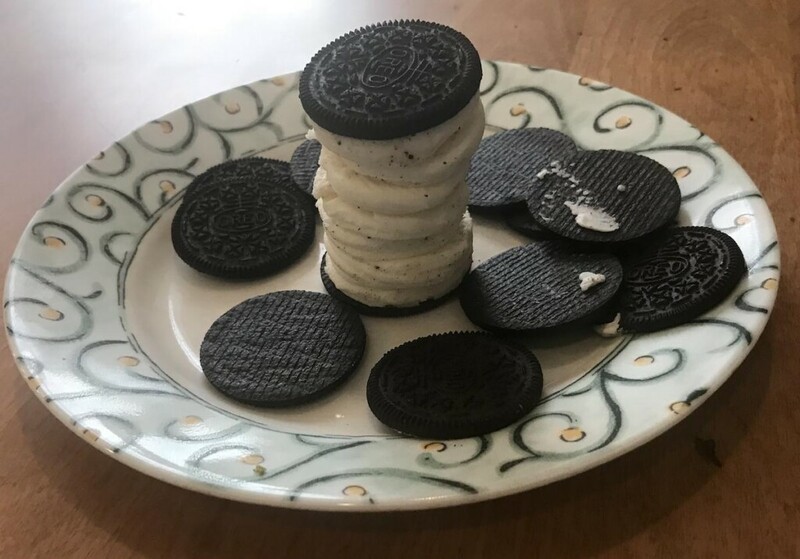 Yeah, I combined seven Most Stuf OREOS into one glorious OREO Tower. I was only concerned about one thing. How to eat it? Yeah, my smallish mouth was no contest for the Megasaurus MostStufalupus. No matter how I tried, I just couldn’t do it. So I ended up smooshing it down and slowly chewing away at it as the sugar rush filled my body. I “think” I may have overdone it. So for now, I’ll stick with the limited edition OREO The Most Stuf cookies and leave it at that. Nabisco knows what it’s doing and I for one am glad. Now where’d I put that glass of milk?